Your home rental home looks great and is ready for a tenant. What’s next? As we all know as property owners, vacancy will be your # 1 expense. Read below to see 5 key marketing initiatives that we practice to get your home rented quickly. Is your Property Manager doing these? If not, you may be sitting on vacancy longer then need be. We ask everyone that moves into our homes how they initially found the listing. Most renters—in fact, 75% of them—say online, with the most popular sites being Zillow, Craigslist, and Trulia. That is why we value online presentation. We do more than just provide the specs for the online listing—we add a detailed description of the property and take professional photographs after renovations. Blurry mobile phone pics, point and shoot cameras from the seat of a car, pictures with all the lights off , to few pics, pics of a overgrown yard or among common bad practices I see that will not highlight the features of your home. We treat the home rental process with the same care as if we were listing the home for sale. By marketing through our Property Mgmt. 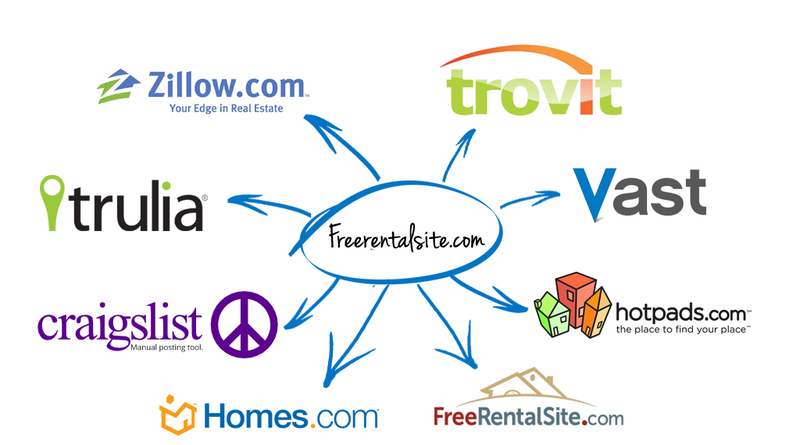 software, it syndicates the property information to the most popular rental sites. This used to be the single-most important marketing step, but technology has put this as the number two way we get homes rented. However, that does not mean having a sign in the yard is not important. Signs in the yard generate phone calls while the tenant is in the area. If they took the time to call about a specific house from your sign, that indicates they are specifically interested in your home; that is certainly a good lead to work. The sign needs to stand out above and beyond ordinary “For Rent” signage A professional looking sign makes your home stand out and if a tenant has called several companies from signs in the yard, it is likely they will remember yours over the other “vanilla” type signs.. Having a great looking sign is simply good marketing and branding. We want people to see that sign and think excellence. While it may be almost impossible to do this, we make it a goal and part of the culture of our company. Our phone system allows for a ring path to hit several people at time, and if by chance we do miss a call, we typically return that call within an hour. For those calls we do miss, our voice mail message can lead prospective tenants towards the company website where they can inquire online about a specific property listing and answer a few key questions. By casting a wide net, your chance to find the right renter increases. A motivated leasing agent is what ties in the three steps above—when those are clicking and done well, a motivated leasing agent will close the deal quickly. Most leasing agents are motivated because they are paid 100 % commission.Although many property managers have gone to a self-showing model and eliminated the leasing agent all together, we have found leasing agents to provide excellent customer service by answering questions, pointing out the benefits of leasing with our management company, shaking a hand, and listening to what the prospective tenant has to say—and that can’t be replaced. This price has to be right, or the other four efforts are useless. Determine what market rent is for your home by comparing other listings of similar size and upgrade features. If your house is outdated without any upgrades and the homes you are competing against are superior, then a below market rent is likely going to be in your best interest to get your home rented quickly. A property management company and motivated leasing agent will help you set the right rental price.